Dragonvale is a free to play game available on any device that uses the Game Center, and the first iOS game that I have played nearly every day for over a year. Most iOS games will hold my attention for only a few days, but Backflip Studios has managed to engage my attention for much, much longer due to their constant additions and beautiful art styles. New dragons and decorations are added on an almost weekly basis, keeping players scrambling to find the right combination to breed epic, limited time dragons. 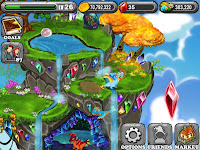 The gameplay is simple: you build habitats to house your dragons, then breed dragons to create unique hybrids. There are over 100 different kinds of dragons to collect and more are added each month. Some dragons are available for only a short time (such as holiday-themed dragons), but don't worry, if you have missed the window to get some of the rare dragons, these dragons will eventually become available again. Dragonvale shares similarities to other simulation games such as FarmVille, but it eliminates many of the annoyances that can come from social games. The game is equally enjoyable whether you enjoy having a large friend base, or just want to play the game on your own. Having friends to play with gives you a better chance at getting more gemstones (the in-game currency of Dragonvale) but it is not the only way to obtain gems. Most social games will award you with special in-game money only when you level up, but Dragonvale offers a variety of ways to obtain gems such as fighting in the Colloseum, breeding gemstone dragons, or racing dragons at the Dragon Track. 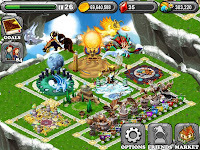 It is fully possible to get every dragon and every decoration without needing to purchase gemstones. As much as I enjoy this game there are a few mild annoyances to put up with. First of all, if you plan on playing this game on an iPhone, get prepared for a very long loading screen that can last between 3-4 minutes. It should be noted I have not encountered these loading problems on tablet devices such as the iPad or Kindle. Second, you don't actually get to fight dragons in the Colloseum; you just pick a dragon then wait 24 hours to collect your prize. I would have liked to have some kind of mini-game where you are able to battle other dragons. Backflip somewhat made up for this by introducing a Dragon Track into the game (available at Level 15) where you get to race against other dragons. While this is a fun addition, I would still like the opportunity to fight them. The last setback with this game is that visitors in the park don't actually do anything. There is a UI on screen that keeps track of how many visitors are in your park, but this number doesn't affect your game at all. I really don't like having useless information displayed in front of me. SUMMARY: Even though the loading time is ridiculous on the iPhone, Dragonvale is worth the wait. I would recommend this to anybody, whether you enjoy playing with friends or playing by yourself. 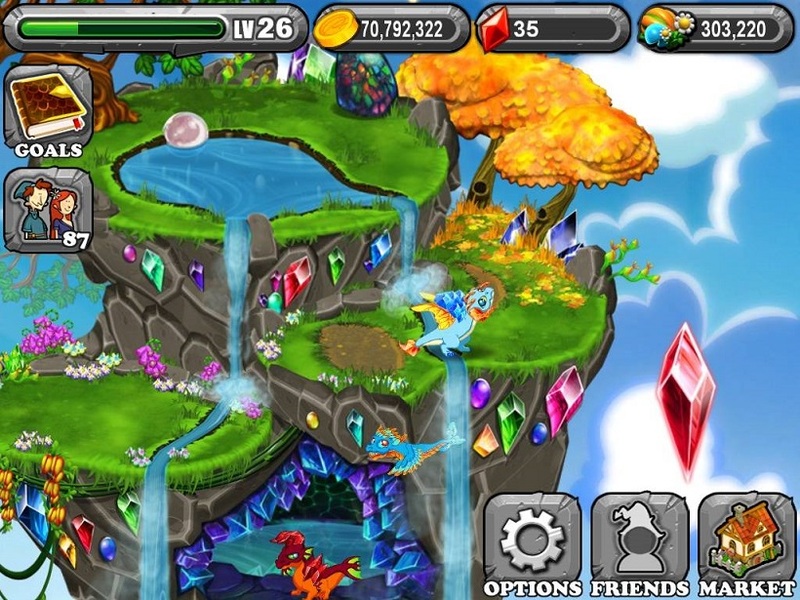 There are hundreds of dragons to collect and plenty of islands to customize. The game is free so there's really no reason to not go and get this game.